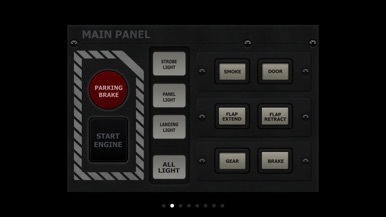 If you want to get more please see REMOTE VIRTUAL COCKPIT, that it's an app that I have developed recently. c) ... you use SimpleKeyPad! 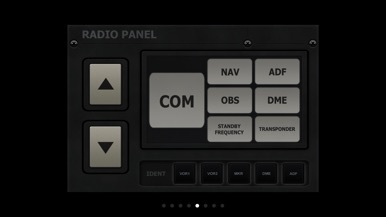 SimpleKeyPad is a KeyPad: a set of buttons arranged in an area, with images or text, that can use your tablet like an input console; but SimpleKeyPad is also Simple: it's ready to use, its controls are distributed for immediate use with Flight Simulator or other program. You can give instructions or commands on your PC simply by touching your tablet. It doesn't function with TrackIR! - This app is exactly what I have been looking for since I had installed FSX. It controls everything I want to be on the touchscreen. Great work! - If you are like me, you are always having issues trying to remember what key you need to change something. This app makes it really easy to do some of the things you need most. - Makes it very flexible for us flight simmers rather than using the keyboard in the dark (night flights). Ipad is illuminated and you don't have to keep searching for keys. - Love it for eliminating one of my modified keyboards in my simpit. Since the iPad illuminates the keys no more fumbling. Mount it to your simpit desk and I guarantee you'll find it invaluable in no time flat. 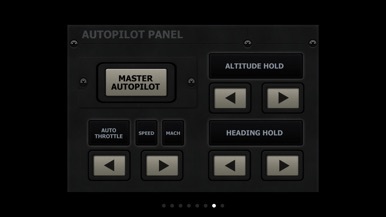 - This little app introduced new depth into my flight sim experience. Yes, I could have built a home cockpit a long time ago, had I had the required home. But since I move every 3 years this really is no option, yet. SKP-FSX does give my flight buddy and me the opportunity to share tasks when trying to land with zero visibility and sheering wind at 40 knots in northern Canada. It really helps a lot to be able to concentrate on steering and have someone operate the flaps and lower the gear for you, when you try to strafe the plane onto a 15m wide airstrip with an attack angle of 30 degrees. This app makes it possible, and runs like a charm, as does the server program on Windows. 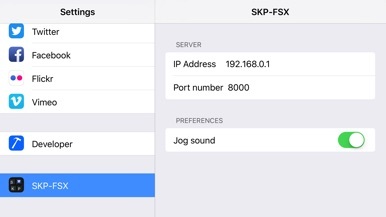 - Does most of the functions in FSX you commonly use your keyboard for. I find it so easy now to use all the autopilot settings, ATC, and view commands. Downloaded the server program for the PC and had it installed and running in three minutes. Think I will remap some keys on my flight stick and throttle so I don't think I really need the keyboard at all. Guess I'll use my slide out keyboard tray for my inflight meals and drinks! Thanks for a great program! Cheers!